I’ve passed by Quarter+Glory more times than I can count on an evening on the town. The bar is nestled between my favorite establishments on 14th street near the U Street Corridor. I was keen on finally experiencing the wondrous cocktails I had heard so much about. So, after a stressful day at work and a long week of traveling, a happy hour cocktail (or two) is just what this gal needed. Quarter+Glory was conceptualized by proprietors Ryan Burke and Kenneth McCoy. Both Burke and McCoy are owners of Public House Collective, a New York-based hospitality management company. The duo additionally owns and operates a few other New York-based watering holes. McCoy is also a mixologist, beverage director, and thespian. 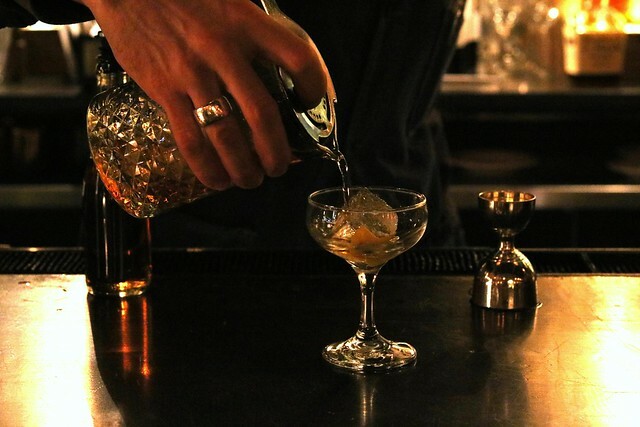 His passion for theater and mixology only adds to the bar’s drama and allure. You’ll feel as if you’ve transported back in time once you enter the no-frills, dimly lit space. I spent my evening catching up over cocktails with roommates who I live with, but rarely see. The bar was filled with attractive groups of young professionals seeking solace after a long work day. 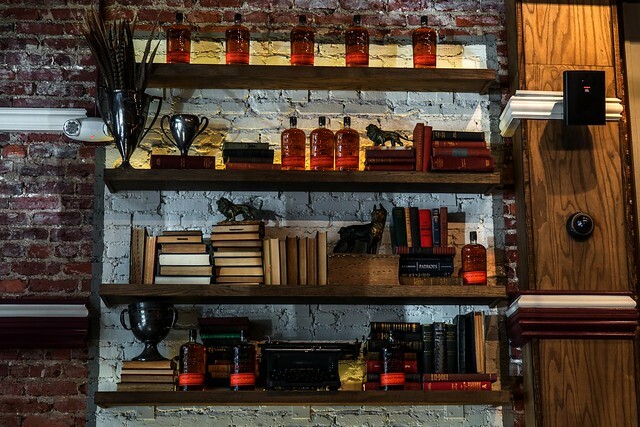 Art Deco elements, dark leather booths, and a grand oak bar set the backdrop at Quarter+Glory. Literary quotes inscribed into the menu are a subtle nod to early pub culture. Since its opening in 2016, Quarter+Glory has become all-encompassing gathering place. It strives to be a place where people from all backgrounds come to trade stories and make conversation. The charming bar is a quaint spot to unwind after work with colleagues, catch up with great friends, or come in for a nightcap. Kara, Haley, and I indulged in the gluttonous grilled cheese filled with cheddar, smoked mozzarella, and honey on brioche. We also highly recommend bringing someone to split the Bavarian style soft pretzel. The expansive menu boasts 25 specialty cocktails. Each libation has its own backstory and flavor profile. The cocktails naturally serve as conversation starters. I put full trust in Kenneth to steer us in the right direction. He appropriately recommended a bubbly citrus concoction for me. The Call Me contains the essentials: gin, champagne, and grapefruit flavored liqueur. The scent of citrus immediately put me at ease and the cocktail was even more refreshing and delicious. Kenneth selected a seasonal cocktail for Kara, consisting of apple brandy, gin, lemon, honey, and cinnamon. She was thrilled with the Victorian toast as she usually opts for warm drinks on winter nights. Following the Victorian toast, Kara needed her whiskey fix and gave the Whiskey For Destruction a chance to end the evening. Haley was enamored by the menu but the Tyrone was calling her name. 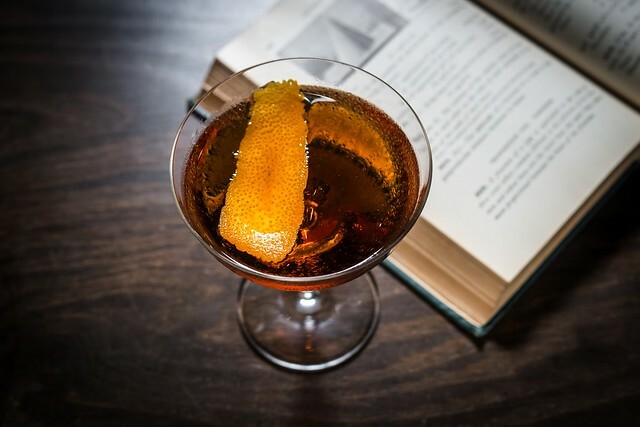 As a drink meant for a long day’s journey into the night, it includes whiskey, sherry, amaro, banana liqueur and bitters. What’s not to love? 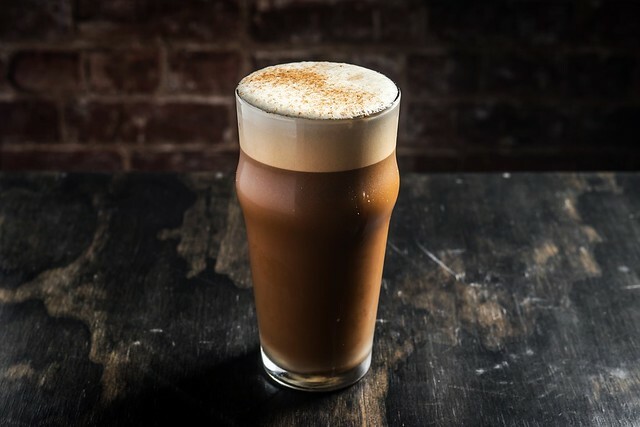 The Tyrone is generously topped with Haxan Porter, brewed by our favorite locals, Right Proper Brewing Company. Lastly I decided to try The Buoy. 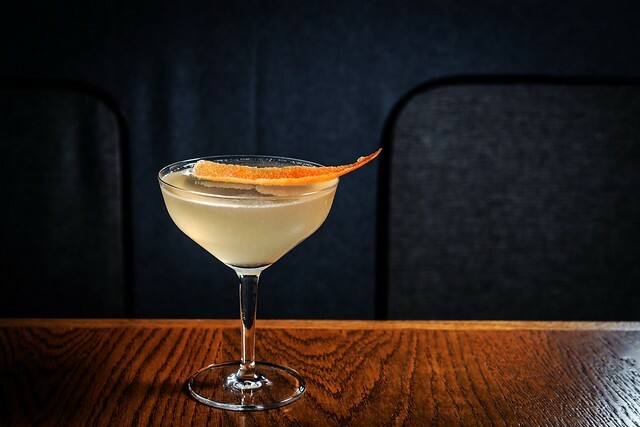 This charming cocktail calls for Highland Park Whiskey, aged for 12 years, and mixed with sweet vermouth and absinthe. 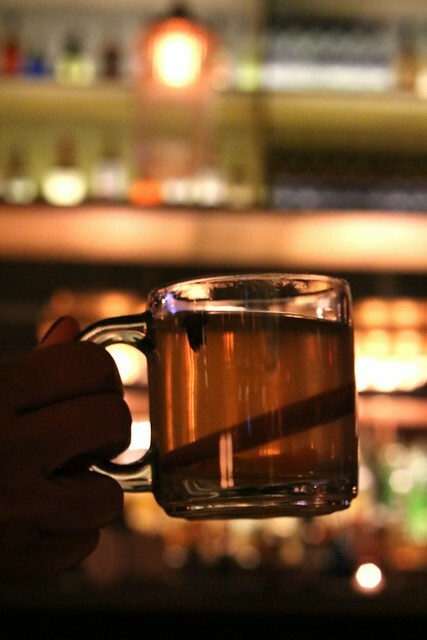 The absinthe warms you right up almost immediately and provides relief from facing frigid February temperatures. We loved all of the cocktails and the interesting stories behind them. Quarter+Glory has become quite the coveted spot for post-work drinks. We’ll certainly be back to sample the rest of the menu!